It was in the late 1800s that Italian immigrants planted European grape varieties in the Vistalba Valley of Luján de Cuyo, a district in Mendoza, Argentina. Various families, including Spanish immigrant Don Nicanor Nieto, managed those vineyards and produced wines through the years. In 1969, the Nieto and Senetiner families purchased the winery and grew the brand and production into the three estates (400 hectares) that comprise Nieto Senetiner today. The estates include Finca Villa Blanca in Vistalba, Finca Agrelo in Las Tortugas, and Finca Alto Agrelo in Las Torcazas. The winemaking team includes Roberto Gonzalez, Santiago Mayorga, and consulting winemaker, Paul Hobbs. Nieto Senetiner was the first Argentine winery to receive ISO 9002 certification in 2002. Over the course of the past couple of months, I have had the opportunity to taste a few of Nieto Senetiner’s wines, thanks to samples facilitated by Big Bang Wines and provided by importer Foley Family Wines. The wines, with the suggested retail prices of $10-$15 per bottle, have proven themselves to be solid, quality-to-price ratio wines. Below are my impressions. As always, your palate may vary. At a price point of only $13.00 SRP, this cabernet sauvignon will still stand up to a steak or other hearty meat dishes and rich sauces. The wine, whose grapes sourced from the Agrelo Vineyard (elevation 3,181 feet), only sees six months in American and French oak, so it shows a softer side of cabernet, with aromas and flavors of blackcurrant, plum, pepper, and vanilla, with noticeable, but not overpowering, tannins, and an ample mouthfeel. I thought the aforementioned Nieto Senetiner cabernet sauvignon I tasted previously was the softer side of cabernet, but this is even softer. If I had blind tasting this wine, I might have thought it was merlot. Red berry aromas and flavors dominate, especially cranberry. The color of the wine matches the palate, deep ruby. I would call this the feminine counterpart to the other cabernet sauvignon, gentle and delicate. It’s also less complex, but the tannins are chalky and noticeable. My only regret is that the finish isn’t longer, but for $10.00, this is a no-brainer buy. You will be hard pressed to find a $13.00 pinot noir with a good quality-to-value ratio from any producer. Therefore, I was pleasantly surprised with this wallet-friendly offering, whose grapes come from the higher-altitude Neuquén Vineyard in the Tupungato area of Mendoza. The wine is aged six months in French oak. It is medium garnet and clear, with a medium-weight mouthfeel, soft tannins, and good acidity. Floral and fruity aromas lead to smoky vanilla, bitter cranberry, and cherry on the palate. Enjoy this with poultry, pork, and mushroom holiday dishes. The origin of bonarda has been debated, but it’s generally accepted that it is French in origin (also known as douce noir, corbeau, or charbono), not Italian, and has become Argentina’s second most planted grape behind malbec. In October 2013, I had the opportunity to visit Mendoza and the Luján de Cuyo appellation. I tasted a few bonardas, but have not had any since that trip. The 2013 Nieto Senetiner ​Bonarda, also sourced from the Agrelo Vineyard in Luján de Cuyo, is my way of returning by way of a sip. This wine is dark and dense, coating the nose and palate with intense aromas flavors of blackberry, blackcurrant, and plum, with a delightfully spicy finish. It was a delightful pairing with steak. This wine also immediately took me back to my trip to Argentina two years ago. Torrontés, the genetic hybrid of muscat of Alexandria and criolla, is one of my favorite wines. I love it, with its clear, sunshine-yellow color; crisp, clean mouthfeel; and the interplay of freshly cut roses and tart citrus on the nose and palate. Fermented and aged in stainless steel, this wine’s freshness and acidity will brighten up most meals. This torrontés offers best bang for the buck of all of these wines. If you have read my piece to this point, you may notice that there is not a review of malbec. When most people think of Argentina, the grape variety that comes to mind is malbec, which over time, grew to be Argentina’s flagship wine. However, more than a century later, Nieto Senetiner and other Argentine producers have demonstrated that they can make more than malbec, including other varieties that were first brought to Argentina by immigrants over a century ago. 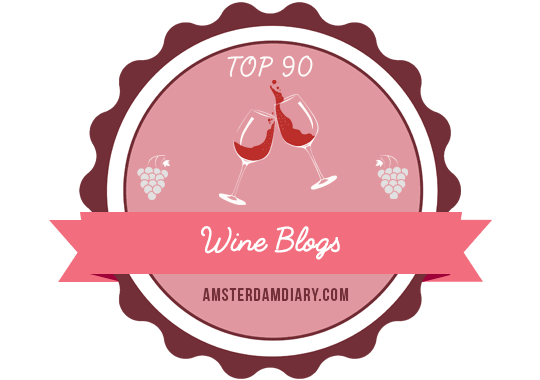 This piece is my entry for the Monthly Wine Writing Challenge #20, #MWWC20, as explained at this link. Voting for entries will take place through Monday, November 2. Next ›Why not wine accessories! I enjoyed the tidbit about Italian immigrants planting grape varieties in Argentina. According to the producer, Italian immigrants founded the original winery and grew the first vineyards in Vistalba in Luján de Cuyo in 1888. Have had their Bonarda, which was well crafted. Good piece and thanks for leaving out the malbec. It does get tiresome when regions are relegated to a single variety of grape. I really enjoyed the Torrontés and the Bonarda. In my opinion, they were the best of the bunch.